Huge C Jere style welded metal art sculpture by Segal. Free standing flower in copper and brass mounted in smooth molded concrete block. 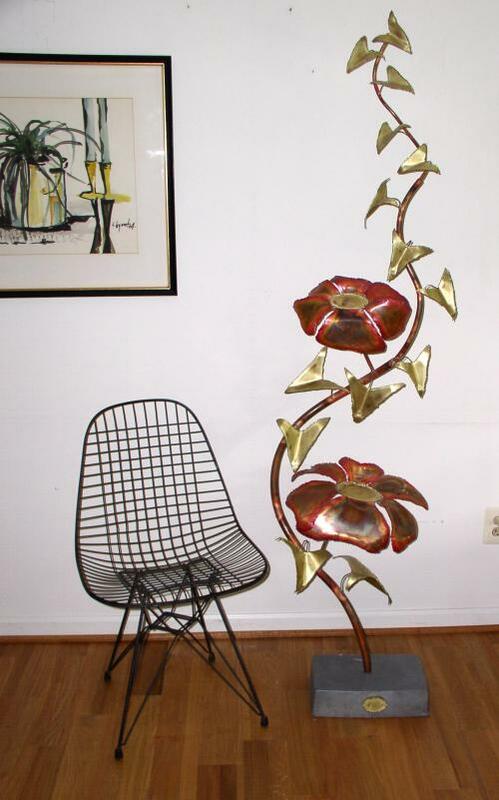 Weld cut brass sheet metal with red burnished petals on copper tube based stem.